iPhone 6 front panel compared to the iPhone 5s - if this is the new iPhone, it will drive new users in droves! 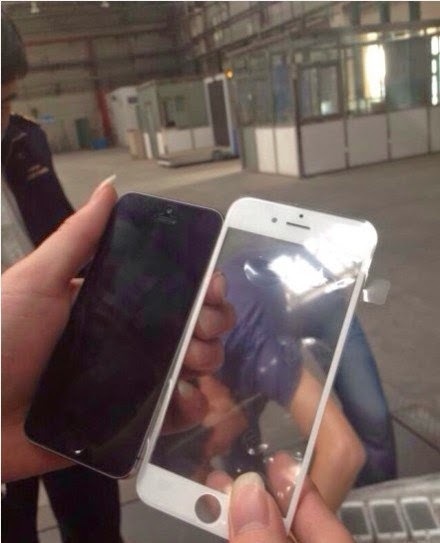 It features what may be (or not) an “iPhone 6” front face. By comparison with the iPhone 5 (left), we can estimate an height for the screen of 4,1 inches (10,7 cm) and a width around 2,35 inches (6 cm). This gives a ratio of 0,55 between width and height which is exactly the one found on the current iPhone 5 and a 4,7 “ diagonal length ! 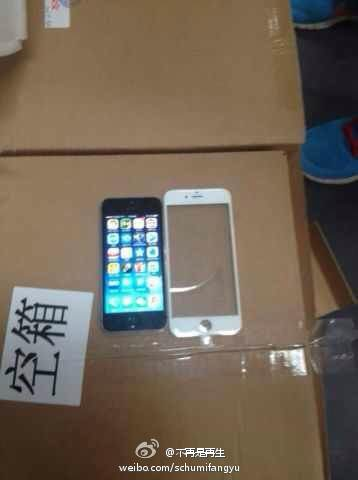 If this really is the iPhone 6, then the new phone will drive new users from Android in droves….